Asian Activities Report for May 16, 2011 includes: Ausgold Limited (ASX:AUC) has confirmed the prospectivity of Katanning Gold Discovery in Western Australia; Erongo Energy Limited (ASX:ERN) has confirmed the prospectivity of a main target area within the Maniema Gold and Tin Project in Congo; Nido Petroleum Limited (ASX:NDO) is to drill the Gindara-1 well in the Philippines; Sultan Corporation Limited (ASX:SSC) has commenced a Bankable Feasibility Study on the MB zinc/lead Project in Montenegro. 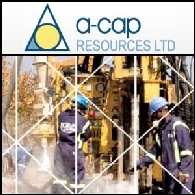 Asian Activities Report for May 3, 2011 includes: A-Cap Resources Limited (ASX:ACB) has increased the resource at its Letlhakane Uranium Project in Botswana by 65%; Tanami Gold NL (ASX:TAM) reported further high-grade intersections from Central and Western Tanami Projects; Teranga Gold Corporation (ASX:TGZ) reported new discovery at the Sabodala gold mine in Senegal; Sultan Corporation Limited (ASX:SSC) announced 9.2 million tonnes JORC compliant inferred resource of zinc, lead and copper at the MB Project in Montenegro. 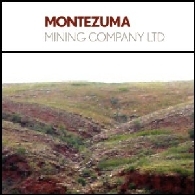 Australian Market Report of January 20, 2011 includes: Montezuma Mining Company Limited (ASX:MZM) has received further copper sulphide results from the Butcherbird Copper Prospect; Berkeley Resources Limited (ASX:BKY) received two milestone achievements in the Salamanca Uranium Project in Spain; Sultan Corporation Limited (ASX:SSC) Peelwood metallurgical recovery test work exceeds expectations; Northern Energy Corporation Limited (ASX:NEC) recommenced exploration at Colton Coal Mine. Sultan Corporation Limited (ASX:SSC)(PINK:SSCSF) announce in the previous quarter a combined total John Fardy and Peelwood resource of 895,000 tonnes at 8.0% zinc equivalent was obtained. Optimization carried by Intermine Engineering Consultants indicate that respective open pits contain a combined resource of 469,000 tonnes at 5.16% zinc, 0.90% copper, 1.17% lead and 20 g/t silver are likely to occur within the respective open cuts at John Fardy and Peelwood projects. Sultan Corporation Limited (ASX:SSC)The Directors of Sultan Corporation Limited are pleased to announce that Mr. Jimmy Lee has joined the board of directors of the company. Mr. Lee&apos;s long standing association with Christmas Island Phosphate, that culminated in him becoming the General Manager of this recognised phosphate producer, is particularly valuable to Sultan having recently entered into an agreement to acquire the Chamaguel Phosphate deposit in Mali. The Board of Sultan Corporation Limited (ASX:SSC)(PINK:SSCSF) is pleased to announce that the Company has entered into an agreement to acquire the Chamaguel Phosphate Project ("the Project") located in Mali, West Africa. The Project has been known since 1935 and recent work undertaken by PDRM Geological Consultants, consisting of surface mapping and grid sampling, identified a large phosphate deposit. Work completed to date plus confirmation and extension sampling to be undertaken by Sultan should allow an initial JORC Compliant Resource estimate to be completed in the second half of 2009. Sultan Corporation Limited&apos;s (ASX:SSC) exploration program conducted during the past 12 months was highly successful in upgrading the JORC resource at John Fardy; delineating maiden JORC resources at Peelwood; and identifying strong mineralisation at the Black Springs project. Sultan Corporation Limited (ASX:SSC) is pleased to report the completion of an initial JORC resource estimate for its Peelwood prospect, located 75km south of Bathurst in central New South Wales. Sultan&apos;s JORC resource for Peelwood has been estimated in the category of &apos;inferred&apos;. It is expressed at cut-off grades of 0% and 4% zinc equivalent. Sultan Corporation (ASX:SSC) is pleased to announce $994,200 was raised in a placement of 41,425,000 shares at 2.4 cents to sophisticated / professional investors. The Directors of Sultan Corporation Limited (ASX:SSC)(PINK:SSCSF) are pleased to announce that the samples taken from holes SJF010 and SJF011 have now been assayed. Following recent exploration success at the John Fardy deposit, the directors of Sultan Corporation (ASX:SSC)(PINK:SSCSF) are pleased to announce the commencement of a bankable feasibility study (BFS). The BFS is aimed at evaluating all aspects of the project necessary to progress to mining. Sultan Corporation Limited (ASX:SSC)(PINK:SSCSF) is pleased to report it has received assay results from the 3-hole reconnaissance program at the Peelwood project. This project is located 75km south of Bathurst in central New South Wales. 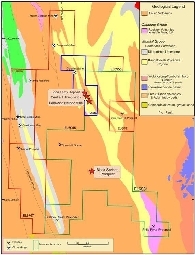 Sultan Corporation Limited (ASX: SSC)(PINK: SSCSF) is currently conducting a diamond drilling program at its Peelwood zinc/copper project that is located 70 km south of Bathurst in eastern New South Wales. Recent intercepts include 4.0 metres averaging 23.19% zinc, 1.38% copper and 12.6 g/t silver from a down hole depth of 278 metres in drill hole SJF004. 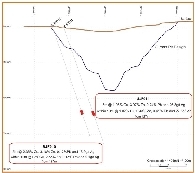 The drilling program commenced in December 2007 and is expected to continue for several more weeks with a planned total metreage of up to 5,000 metres. Sultan Corporation Limited (ASX:SSC) Announce Investor Presentation titled "John Fardy Site Tour"
The Directors of Sultan Corporation Limited (ASX:SCC)(PNK:SSCSF) are once again pleased to announce that further high grade intersections have been returned from holes SJF006 and SJF007. Hole 007 is located approximately 50 metres below the previously identified near surface high grade zone. The Directors of Sultan Corporation Limited (SCC) are once again pleased to announce that further high grade intersections have been returned from holes SJF006 and SJF007. The Directors of Sultan Corporation Limited (SCC) are pleased to announce that the samples collected from Hole SJF004 (fourth hole drilled at the John Fardy deposit) have now been assayed. The Directors of Sultan Corporation Limited (SCC) are pleased to announce that the samples collected from Hole SJF002 (second hole to be drilled at the John Fardy deposit) have now been assayed. The Directors of Sultan Corporation Limited (SCC) are pleased to announce that Sultan has obtained a high grade intersection in the first hole drilled at the John Fardy deposit. Sultan Corporation (ASX:SSC) Provide Shareholder Update Report Oct 2007. 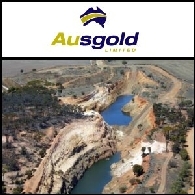 The Board is pleased to announce that it has entered into an agreement to acquire from Ironbark Gold Limited the ground adjoining the Peelwood Project tenements and held under Exploration License Application No. 6767. The Directors of Sultan Corporation Limited (SCC) are pleased to announce that a resource has been estimated for its wholly owned John Fardy zinc and copper deposit near Crookwell in NSW and that the estimate was made in accordance with the requirements of the JORC Code (2004). The directors of Sultan Corporation Limited are pleased to announce a placement of 57 million shares at 4.2 cents per share to raise $2.39 million to be issued to sophisticated investors. The Board of Directors has recently announced the acquisition (subject to shareholder approval) of the Peelwood Project in NSW and the historical drilling results for the John Fardy zinc-copper deposit.